FortiCache-VM software virtual appliance designed for VMware ESX and ESXi platforms. 1 x vCPU core, 4GB RAM and 1TB Disk. Caches resource heavy viral video content, e.g. YouTube, MSN, Metacafe etc. The Internet is experiencing dramatic changes in usage patterns as users shift from fixed to mobile access and the volume of interactive and video content increases dramatically. Carriers, service providers, large enterprises and educational grids all face a similar problem: Exponential growth in bandwidth requirements that consume capacity as soon as they create it. Networks have to be able to keep up with volatile demand, avoiding network congestion while maintaining service functionality and profitability. The FortiCache Range of Appliances give you control of your network by enabling you to cache content and accelerate applications, thus reducing the impact of these new pressures on the network. The FortiCache high-end caching solution provides application caching for large enterprises, ISPs, mobile providers, telcos, universities and educational grids. By caching application content, organizations can reuse popular content rather than download the same content each time a user requests it.The integrated FortiGuard Web Filtering allows the network administrator to block access to selected content (e.g. adult content, malicious etc) to protect users or offer differentiated services. Enterprise Class Content Caching Increases network performance, improves user satisfaction and reduces bandwidth costs. Video Caching Minimizes impact of viral video on network resource by caching common resource intensive web video formats including YouTube. 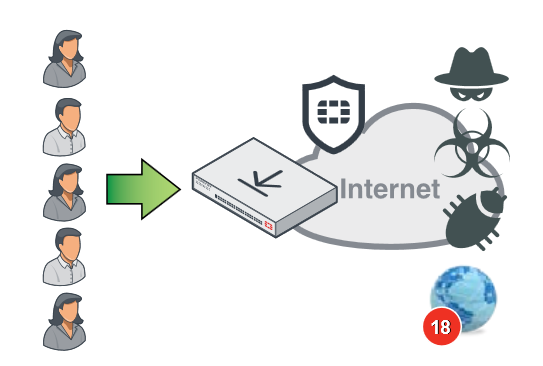 FortiGuard Antivirus and Web Content Filtering Protects users from accessing unwanted content and secures network from malicious malware threats. OS and Microsoft Application Update Caching Minimizes the impact of “Patch Tuesday” events by caching updates for what can be thousands of requests. The Internet is increasingly driven by short-term phenomena as news stories, sporting events, viral videos and games drive spikes in bandwidth demand. Interest in such content can spread within minutes, proliferate quickly and generate huge loads on the network. The result is congestion, latency and unplanned cost. By reducing the amount of bandwidth used, particularly during demand spikes, service providers and enterprises can deliver a higher quality of service to their customers, improve customer satisfaction, retain a larger customer base and ultimately drive profitability. You may be battling against the continuous need to upgrade bandwidth and the associated costs. In some locations, it may not be possible to purchase additional bandwidth. In these situations, FortiCache can enable your organization to remove the need for costly upgrades and gain more performance from your existing investments. FortiCache enables the network administrator to optimize and accelerate the network by keeping as much traffic as possible "on net" and thus decrease the utilization of valuable external connectivity. This allows upgrades to be planned strategically rather than reactively. 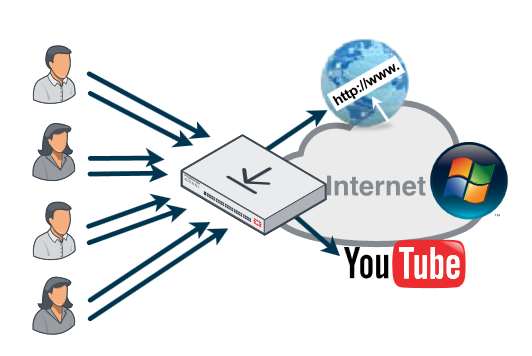 FortiCache understands the delivery format of content delivery networks, enabling caching of dynamic, distributed and streaming video content, even if such video is padded with advertisements or the file is served from different locations within the Content Delivery Network. FortiGuard Web filtering consists of 79 content categories in 8 groups, which can be filtered or blocked based on the user credentials. Additional features such as safe search enforcement and keyword filtering are also included. The FortiClient network anti-malware solution has received 28 Virus Bulletin VB100 awards. Remote or satellite offices often suffer from latency to the head office network which results in excessive file transfer, open and save times and critically, frustrated staff. 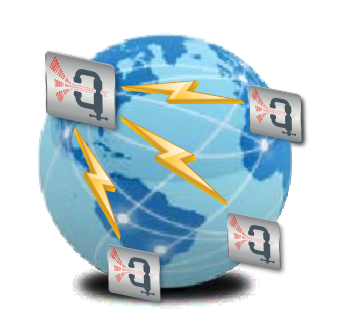 FortiCache WAN Optimization alleviates this with object and byte caching to reduce traffic between offices and datacenters and through optimization of “chatty” protocols. Such optimizations can generate significant improvement to network performance and improve staff satisfaction. Download the Fortinet FortiCache Series Datasheet (PDF).